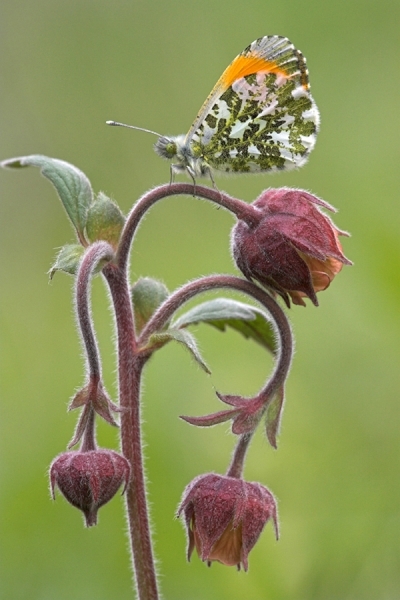 Home | Butterflies | Orange Tip,m on water avens. Orange Tip,m on water avens. Photographed on the banks of the River Whiteadder near my home in the Scottish Borders. Canon 1D Mk11N camera,180mm lens,1/100 f11.